We specialize in finding the best prospects for various disciplines. 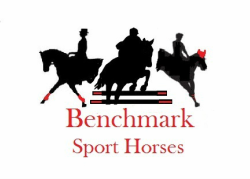 Each horse is carefully selected to meet the demands of the competitive disciplines. We have horses at various levels of transitioning from fresh off the track to those who have already begun a show career. Jessica is available for lessons at the farm. Our facility offers a 100x200 lighted sand arena with a full course of jumps, a 20 x 60 dressage ring that can be used for free jumping, and there are also miles of trails right off the farm.